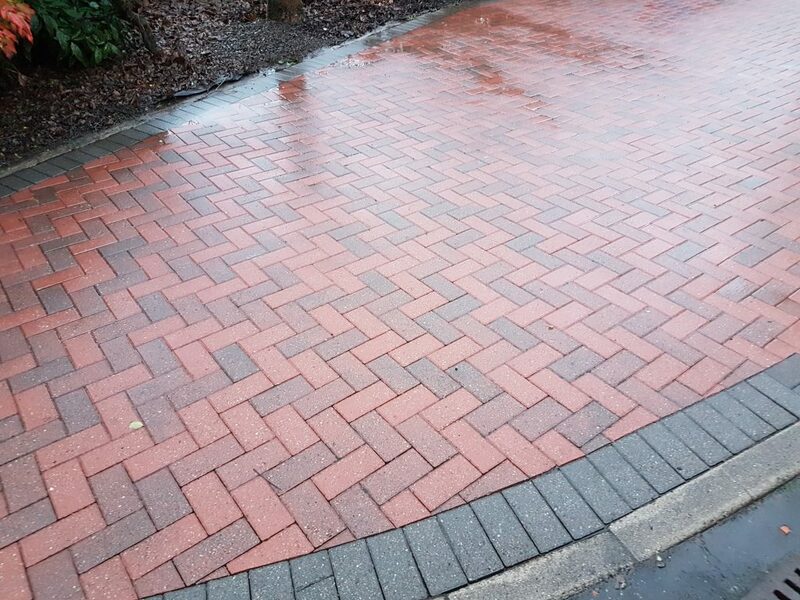 A driveway pressure clean / pressure wash is one of the best ways to make your property look amazing. 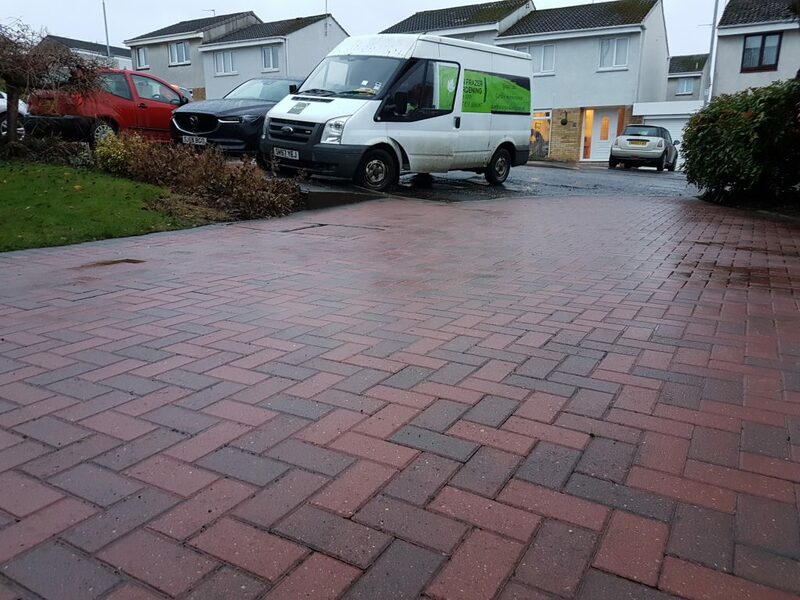 This customer, in a quiet cul de sac in Lenzie, called to ask for a driveway pressure clean of her relatively new monoblock driveway (laid a year and a half ago). 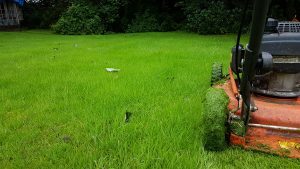 There wasn’t a thick build up of moss between the blocks, but the surfaces were discoloured and slippery with algae and mould. This one really needed smartening up. The edges were especially bad. 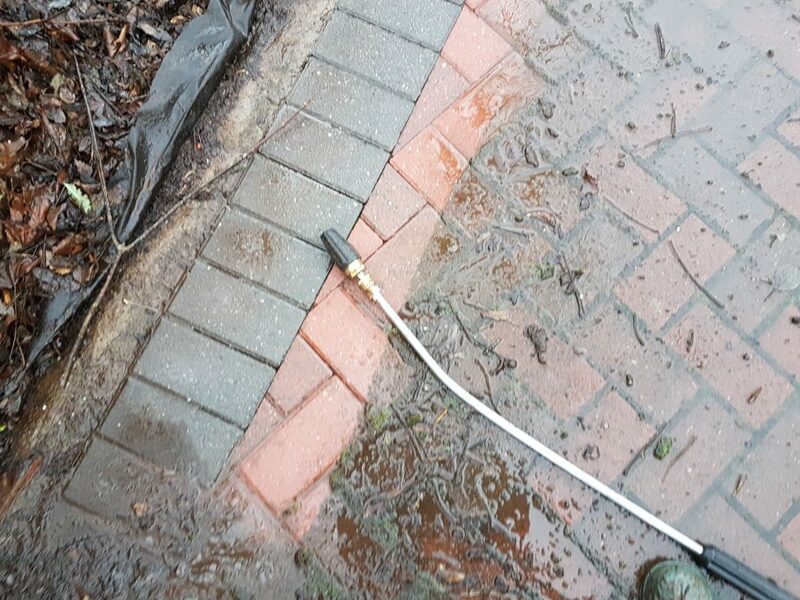 My approach here was to use the “turbo nozzle” for a deep clean around all of these edges, right over the edging stones (nothing looks worse than a freshly “cleaned” driveway where the person has left a line of grime on the edging stones!). Following this, the flat surface cleaner was used to thoroughly clean the bulk of the monoblock. This reduces spray and stops dirty windows, doors and PVC etc. 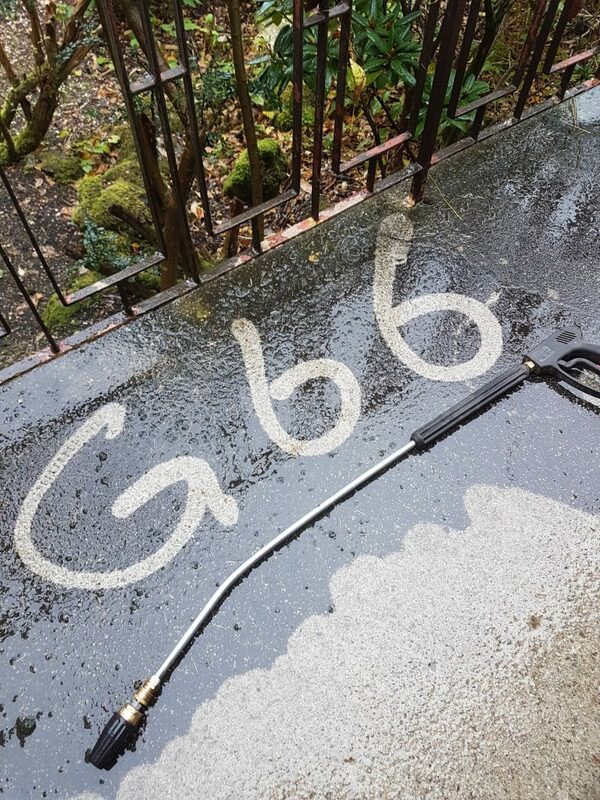 I have used the same cleaner recently on a driveway pressure clean in Bearsden where the customer voiced specific concerns about the house getting dirty after the last cleaner she used basically covered everything in grime and left it like that! Water run-off on this job was via a shrub bed which had a membrane down and bark mulch on top. To keep the work area clean and get the best results, the membrane section was lifted and the bark carefully scraped out of the way. A mattock was then used to dig a small channel through the bed out to a field beside the house and keep the muddy water off the plants. After the work was finished, all the membrane and bark was replaced in it’s original place and looks completely undisturbed. The finished job! The joints were cleaned out only to around 5mm, so I was able to postpone re-sanding until we get some dry weather. 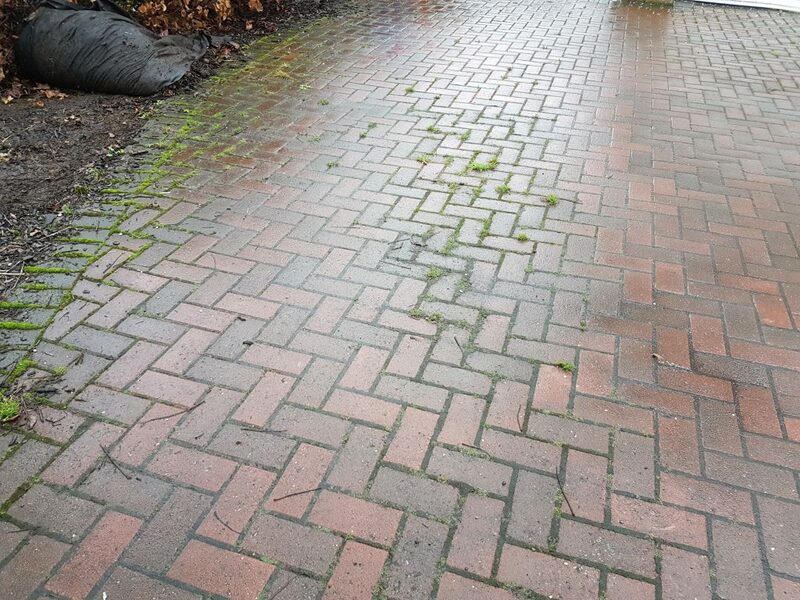 The whole driveway surface was left as it was when freshly-laid, no algae or mould. 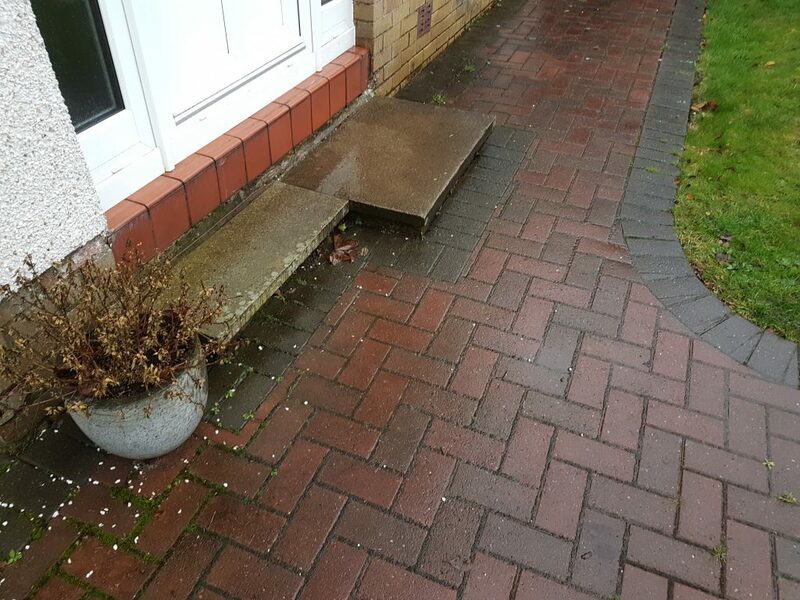 This is what a customer should expect from a pressure washing service. 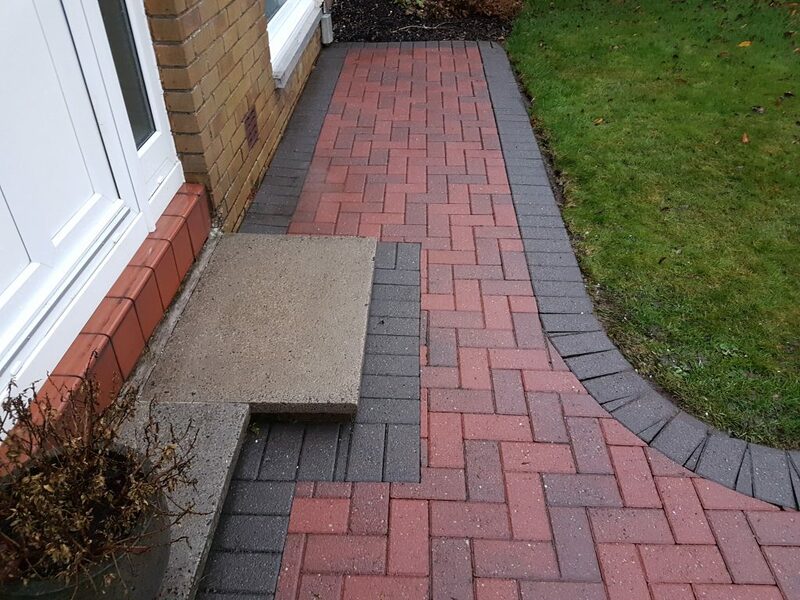 Front step and all edge stones were also left clean; nothing makes as big a difference as smart edges. This is a typical result of the pressure clean service provided. No short cuts. Some paint and lichen stains were treated and removed, and the customer was pleased! 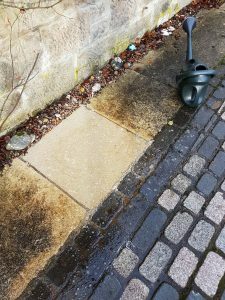 ***For a quote for any exterior stonework and wood cleaning, email dan@danfrazergardening.co.uk or call 07858 888697*** Driveway cleaning, pressure clean and soft washing in Lenzie, Bishopbriggs, Bearsden, Kirkintilloch, Torrance, Milngavie and surrounding areas.